Understanding Volkswagen Chassis (VIN) Numbers and Engine numbers - To August 1979. Since the 1945 Volkswagen Vehicles have carried their identification serial numbers in a number of different formats. The following details only apply to German production, others vary. 1st January 1956 to 31st July 1964 The 1- was dropped and vehicles numbered sequentially. See 'Appearance of Serial numbers on the car/van in documentation' below. The location of the chassis (VIN) number on Type 1 vehicles was originally on a small welded on plate in front of the gear lever, later moved to a direct stamping behind the hand brake and then to under the rear seat, in each instance on the chassis back-bone. Until 31st December 1955 Engine numbers, like chassis numbers were prefixed with 1-, that is the digit 1 and a dash. i.e. 1-100 778. This applied to both 25bhp and 30bhp units. 1st January 1956 to 31st July 1965 The 1- was dropped and units were numbered sequentially. Engine number is located on the rear crankcase flange below the generator. 1st August 1964 to 31st July 1969 Chassis (VIN) Numbers were nine digits built up of three identification digits plus six serial number digits. 1966 and 1968 being exceptions when production quantities caused the addition of an additional digit at position four from the left. Example:- 115 123 456 - See 'Appearance of Serial numbers on the car/van in documentation' below. 1st August 1969 to 31st July 1979 Chassis (VIN) Numbers were ten digits built up of three identification digits plus seven serial number digits. See below for details of the fourth digit from the left. Example:- 114 2123 456 - See 'Appearance of Serial numbers on the car/van in documentation' below. First digit defines the vehicle type, i.e. 1 Type 1 (Beetle based products) Second digit defines the model, i.e. 1 saloon, 3 1303 saloon range, 4 Karmann Ghia, 5 Karmann Cabriolet. 8 181/2 models both civil & military. Third digit defines the production year, i.e. 5 (1965) between 1st August 1964 and 31st July 1965. Fourth digit only for production after 1st August 1969 is 2 (exceptionally a 3 in production per years exceeding one million serial numbers). The remaining digits are a sequential production serial number. The Location of the chassis (VIN) number remains under the rear seat during this production period but may also be found visible through the left side of the windscreen on a plate mounted on the top of the dash panel on vehicles produced for certain markets. Notably those destined for the USA. Engine number is located on the rear crankcase flange below the generator support. Until 31st December 1955 Chassis (VIN) Numbers were five, expanding to six digits prefixed with 20 -, that is the digits 2 and 0 followed by a dash. i.e. 20-123 456. 1st January 1956 to 31st July 1964 The 20- was dropped and vehicles numbered sequentially. See below for format details. The location of the chassis (VIN) number on Type 2 vehicles for the first few months was on a plate in the centre of the engine bulkhead separating the engine and load area viewed from the rear. Then until November 1963 on a plate on the right of the rear cross panel in the engine compartment. During November 1963 the plate was moved to the side of the fresh air ducting over the right front seat. In all instances the number is also stamped on the engine mounting plate between the engine and the battery. 1st August 1964 to 31st July 1969 Chassis (VIN) Numbers were nine digits built up of three identification digits plus six serial number digits. Example:- 215 123 456 - See below for format details. Example:- 214 2123 456 - See below for format details. First digit defines the vehicle type, i.e. 2 Type 2 (Van based products). Second digit defines the model, i.e. 1 delivery van, 2 Micro Bus, 3 Kombi, 4 Micro Bus Deluxe, 5 Micro Bus Deluxe 7 seater LHD, 8 Pickup, 7 Ambulance, 8 also Micro Bus. Fourth digit only for production after 1st August 1969 is 2. The Location of the chassis (VIN) number remains on the identification plate on the right side of the air duct above the cab until the end of July 1967. From August 1967 to July 1971 the Chassis (VIN) number is situated on the engine cover plate below the air cleaner. 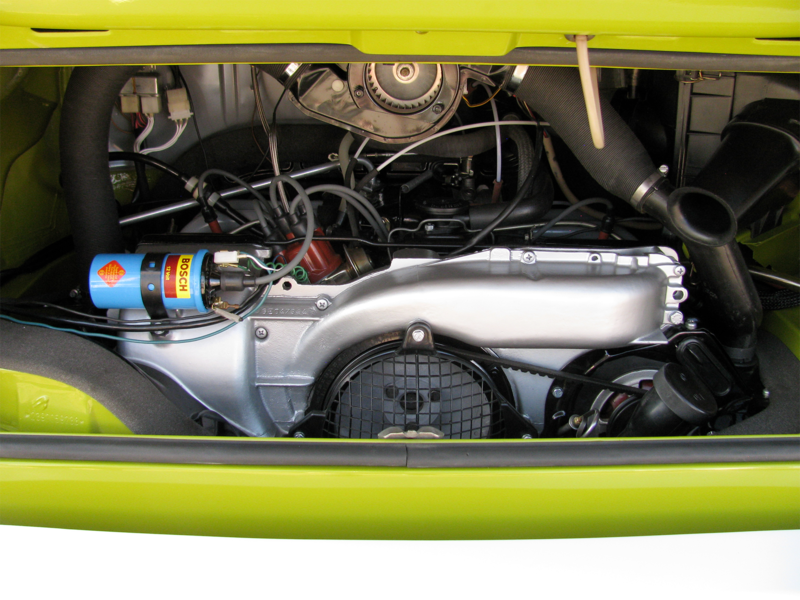 After July 1971 when the engine bay was enlarged to cater for the optional larger engine the Chassis (VIN) number was moved to the rear right side of the engine bay. Engine number is located on the rear crankcase flange below the generator support for 1.6 litre engines and on top of the engine on the right half of the crank case near the breather tower on 1.7 - 2.0 litre engines. The Volkswagen Type 3 appeared to the public in early 1962 and carried an identification numbering system much the same as its predecessors form Volkswagen. In this case a six digit serial number in simple sequential format. The Location of the chassis (VIN) number was, as with the Type 1, beneath the rear seat, stamped into the center spine or tunnel of the chassis. Engine number is located on the right crank case half beside the oil cooler. Example:- 315 123 456 - See below for format details. Example:- 362 2123 456 - See below for format details. First digit defines the vehicle type, i.e. 3 Type 3 vehicles. Second digit defines the model, i.e. 1 saloon (notchback and fastback), 4 Karmann Ghia, 6 Variant. From the start of production of the 411 range in 1968 to 31st August 1969 chassis numbers were in the nine digit format of three identification digits plus six serial number digits. Example:- 419 123 456 - See below for format details. From August 1969, the start of the 1970 model year, as with other models of the period, a '2' was added in the fourth position from the left to make a ten digit number. Example:- 462 2123 456 - See below for format details. First digit defines the vehicle type, i.e. 4 Type 4 vehicles. Second digit defines the model, i.e. 1 2 door saloon, 2 4 door saloon, 6 Variant. Third digit defines the production year, i.e. 9 (1965) between 1st August 1968 and 31st July 1969. Location of the chassis (VIN) number is below the rear seat on the centre of the floor pan, stamped into the metal and punctuated with star like characters. Engine numbers on all versions of engine fitted to both 411 & 412 vehicles is on top of the engine on the right half of the crank case by the joining face. It is visible near the right side of the distributor. K70 production began in August 1970 and continued until the end of March 1975. Basically only one model was produced although trim levels varied and a face lift was done in mid 1973 when the 1800cc engine appeared, the most notable external change was the move from single square headlights to twin round ones. Chassis numbers were of the ten digit format. Example:- 482 2123 456 - See below for format details. Second digit defines the model, 8 differentiates the K70 as a type '48'. Third digit defines the production year, i.e. 3 (1965) between 1st August 1972 and 31st July 1973. Location of the chassis number is in the engine compartment on the right strut mounting. Engine number is located on the left side of the engine block towards the rear and below the heater hose. Serial number format with a space(s) as shown above is notional for written descriptions in service and parts documentation, it does NOT appear with the space(s) when stamped on the vehicle. It is also normal for the stamped number to be punctuated before and after with a star like character. The information available here is intended to provide enthusiasts with a reference to the age of their vehicle and its engine. 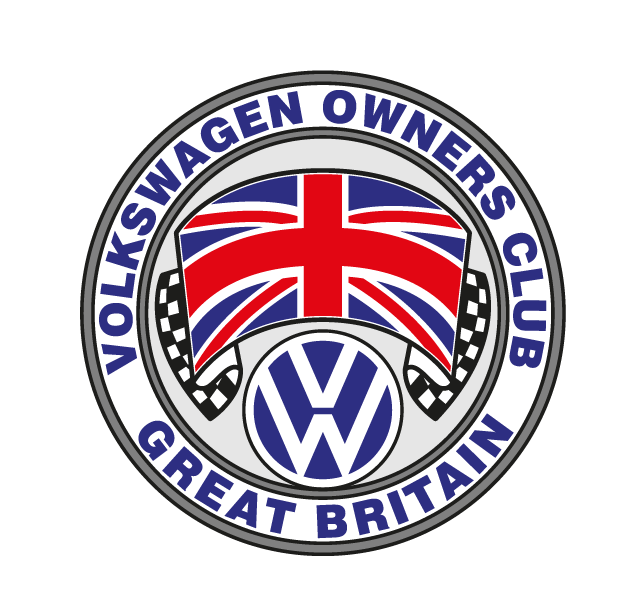 The Volkswagen Owners Club of Great Britain does not guarantee the accuracy of this information but believes it to be correct at the time of publication.